The notorious Preventive Detention Act was applied indiscriminately and pervasively throughout Ghana. It became a veritable instrument of state terrorism. It was applied to politicians, and to ordinary Ghanaians of all walks of life. The victims included farmers, market women , lawyers, doctors and all professionals. University lecturers were also arrested, as were office clerks and even cleaners and labourers in offices. Eventually students in our institutions of learning were added to the ever-expanding list of innocent detainees under the Act. When the Preventive Detention Act was first introduced, there was wide-spread criticism of the law. Fears were expressed that it could be used as a means of vindictiveness, to wrongfully but legally incarcerate political opponents. It was feared that the Act would be arbitrarily invoked to terrorise and intimidate Ghanaians. Nobody, however, could have imagined the pervasive scale and the horrendous extent to which the Act was used. The Preventive Detention Act enabled Kwame Nkrumah to convert the whole of Ghana into one huge prison. The control by Nkrumah was total and every movement of Ghanaians was monitored by untrained and illiterate cadres of spies and political informants. To ensure a total grip on the citizens of Ghana, there was introduced what was officially termed the Exit Permit. Any person who wanted to travel outside Ghana had to obtain an Exit Permit from the security agencies. This was in addition to the visa requirements of the country of one’s destination. When once an application was submitted with one’s Passport for permission to travel out of the country, the intending visitor was scrutinised by the police and other security agencies. Many were picked up in the process of a normal application for an Exit Permit to travel on legitimate business. That was the type of Ghana we endured. It was a cardinal feature of what has come to be known as Nkrumaism. Ghanaians must know these facts when they are being urged to accept a return to the old days of Nkrumah. 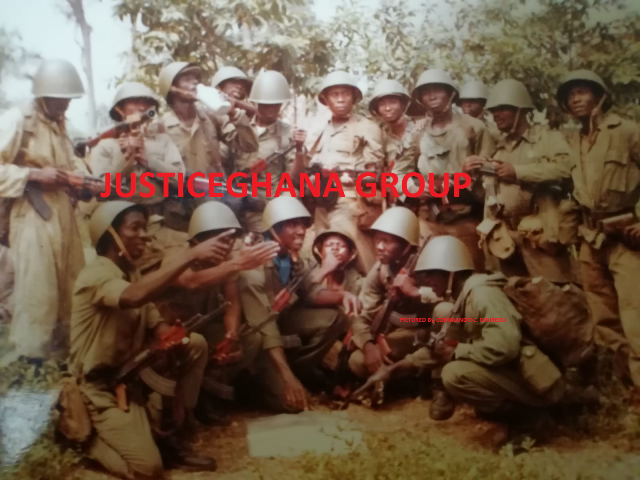 When Baffuor Osei Akoto and others were arrested, the impression was deliberately created that they were plotting the overthrow of the Government of Ghana. There was no truth in those malicious falsehoods peddled by officialdom. Neither was it true that Mr. S.G. Antor and Mr. Kodzo Dumoga of the Togoland Congress were plotting any criminal activity. These people were arrested and imprisoned for no other reason than the publicly known fact that they did not belong to Kwame Nkrumah’s Convention People’s Party. With time, it was not only politicians who were arbitrarily imprisoned without trial under the Act. Leaders and hangers-on of the C.P.P. used the Act to intimidate and settle even personal scores with their opponents or adversaries. A deliberate lie by one’s opponent to Nkrumah or to any of his cohorts or party apparatchiks was enough to send one to prison without trial. Persons who were engaged in land disputes sent their adversaries to prison without trial by simply informing on them that they were not loyal party supporters. A rival over the affections of a woman would end the matter in his favour by simply reporting to party functionaries that the other man was not a C.P.P. man. It was a matter for great regret that even innocent little children were unwitting tools in this dangerous design. Following the practices of the Hitler Jugend or Hitler Youth, Nkrumah had established out of public funds the Young Pioneers. They consisted mainly of young and highly impressionable pre-teen children. These Young Pioneers were indoctrinated to develop absolute loyally to the Osagyefo as did the Hitler Jugend to the Furher. In total loyalty to the “Osagyefo” these young children were encouraged to report to their leaders even the casual conversations at home by their parents, excusably unsuspecting that it would result in the arrest and imprisonment of the dear Papa. One can now partly understand why in his own words Nkrumah admired Hitler. One can also partly understand why later Nkrumah invited to Ghana and appointed as Flight Instructor at the Afienya Gliding School, the reputed Nazi German Pilot, Hanna Reitsch. The famed Hanna Reitsch, a close associate of Adolf Hitler, was a distinguished pilot of Nazi Germany’s Luftwaffe in the Second World War. She was also a poster girl of Hitler’s Nazi Party. It was Hanna Reitsch who reportedly made the daring flight to the Furher’s bunker in Berlin in the last days of the Second World War. If Nkrumah were in Ghana during the coup of February 24, 1966, one could guess whether Hanna Reitsch would have attempted a similar daring feat to fly the self-styled “Osagyefo” out to safety. At one stage, arrests were made at random, even if not based on specific reports. It was known that signed, blank Preventive Detention Orders were distributed to party functionaries and certain security agents. When an office of the opposition United Party or Togoland Congress was randomly raided, any person found on the premises was carted away to prison. They included cleaners in the offices, and messengers. They also included casual visitors to the office even if they were not there for a political activity. The purpose of such raids was to intimidate the people in order to pressure them into submission. All that was done was to ask the name of the person found on the premises, and then write it on the signed blank Preventive Detention Order. If the accidental detainee had connections within or to Nkrumah’s C.P.P., efforts may be made to secure his release without any formal process, because it was all within the unfettered discretion of one man, the self-styled “Osagyefo” Kwame Nkrumah. Otherwise, as was usually the case, the detained person would remain in prison. He would languish in prison indefinitely and often all was forgotten about him. It would take relatives a long time to know of the fate of such a detainee who had not returned home. The lists of detainees were not published, except for prominent personalities like Baffuor Osei Akoto, Dr. J.B. Danquah, S. G. Antor and E.O Obetsebi-Lamptey.